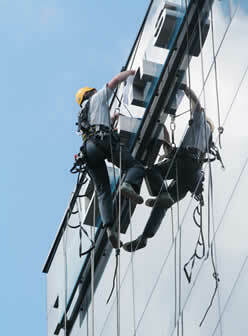 Our teams are highly trained with a focus on safety. The teams of three consist of 3 workers with IRATA licences, two Level 1's and one Level 3. All team members are confined space entry trained and have done the rescue module. Bringing together a broad range of skills in different fields from all over the world our teams are thoroughly professional, efficient and skilled. Contact us today - no project too big or small.